Perhaps the most curious effect in Vaughan’s gouache vocabulary is the watery frothing that appears from the early 1950s onwards…The technique is not easy to achieve since bubbles created by rapid movement of the brush, rupture on drying and result in a flattened tone. He accidently discovered an innovative method to arrest the foamy gouache texture and prevent it from bursting before it dried. It seems he was careless one day while cleaning his brushes in the studio sink and traces of detergent remained on one of them. When he resumed work the next day his gouache paint began to froth as he agitated the wet brush over the surface of the paper. Since the viscosity of the paint had been strengthened by the presence of the detergent, the curious bubbling effect remained even after the gouache dried. As Vaughan refined the technique he discovered also ‘vinegar in the water makes the ink precipitate, [however it] stings the skin.’ (Keith Vaughan, Journal: February 26, 1965)…His application of paint is never concealed; on the contrary his aesthetic invention and the motion of his hand while smearing the pigment onto the paper’s surface are carefully and intentionally preserved in the final statement; there is no suppression of technique. 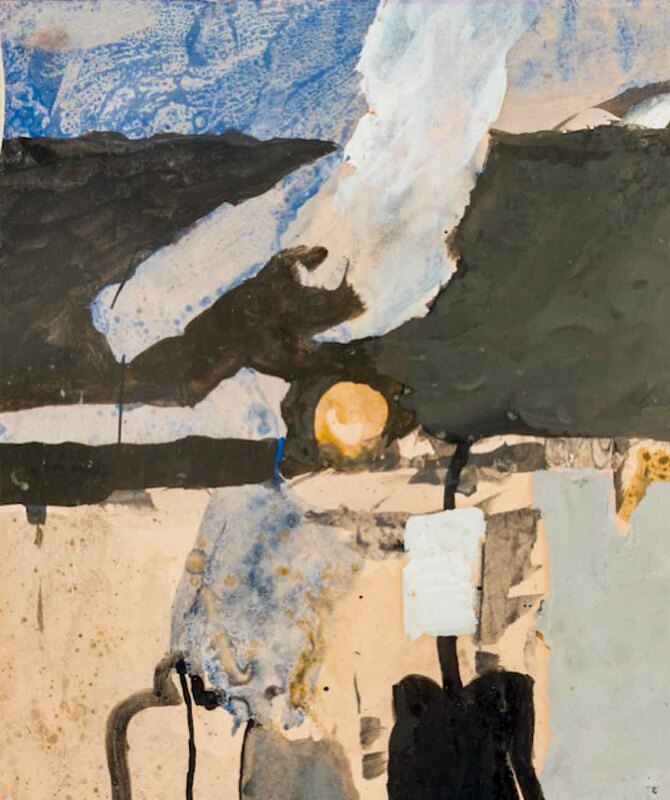 He was the foremost gouache painter of his generation and his work celebrates the very stuff of paint while rejoicing in the infinite and eloquent variety of marks that the medium is capable of making. (extracts from Philip Vann and Gerard Hastings, ‘Keith Vaughan’, Lund Humphries, London 2012).